"It’s just a community space." Or is it? Ross digs deep and lets you know what to expect for our 2016-2017 ski season. Just add snow! 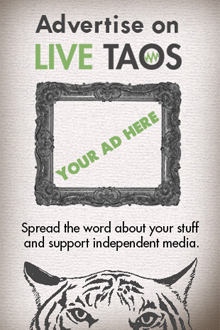 Get your pink on Taos! This Weekend Friday October 7th & Saturday October 8th. An adaptation featuring the collaborative voices of New Mexican artists.